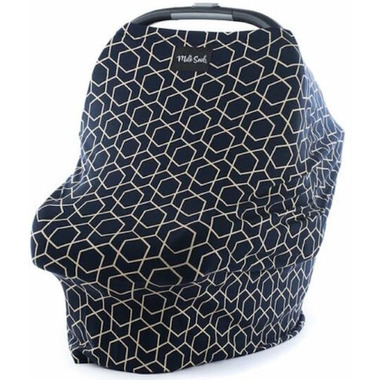 The Milk Snob® Cover is a fitted infant car seat cover that can also be used as a nursing cover or shopping cart cover. The stylish and modern way to protect your child against harsh sunlight, wind and unwanted onlookers when used as a car seat cover. The 4-way stretch allows for a custom fit on any infant car seat and for extra comfort while nursing. 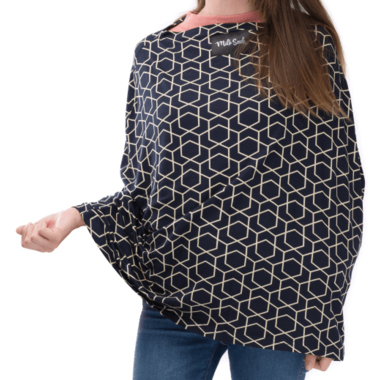 Fabric is four way stretch and very light weight and breathable, so versatile for use with car seat, breast feeding, or covering a surface to sit baby on. The colours are so rich and when stretched over seat or bf use it's not sheer or awe through. Gentle wash with like colours and lay flat to dry (dried so quick was impressed) it will last you for a long time.